Do you need some help keeping your site up & making occasional changes to it? Look no further than our website maintenance service. 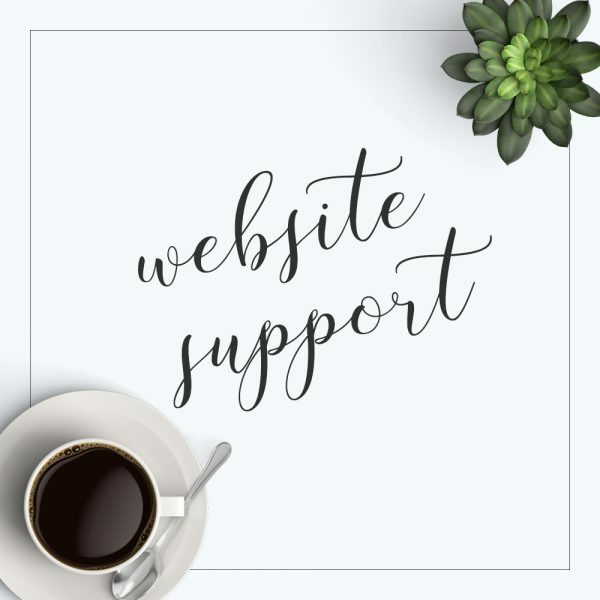 For a the cost of a meal out every month, we’re your go-to for website support, specializing in WordPress but we’re not limited to the WordPress platform – it’s just that widely used! Track your requests from your phone by app + email notification! Back end maintenance for your website, keeping site software up to date & secure. We can assist with minor website tweaks & changes – need a new page or a few elements moved around on the site? No problem, just add it to your ticket! We’ll help integrate third-party services (plugins, Mailchimp, etc.). This service can’t be used for a website redesign or extensive work on your site. If your needs will take longer than 30 minutes for us to accomplish in one session, we’ll provide a quote for working on your website. This is very uncommon for normal website maintenance – this is usually the case with troubleshooting or major website changes. If the scope of work needed for your site exceeds this service but isn’t quite a completely new site, we can still assist you with our hourly rate listing! Website Support is for a single domain & can’t be used on multiple websites per account. Also, this listing isn’t suitable for refining a website with extensive edits (more than 3 per month is generally considered extensive for a support service) – any extensive edits will require our hourly rate.